2016-Gypsy Moth | Welcome to Connecticut Arborists! Take a close look at this picture and you will see baby caterpillars emerging from their eggs. 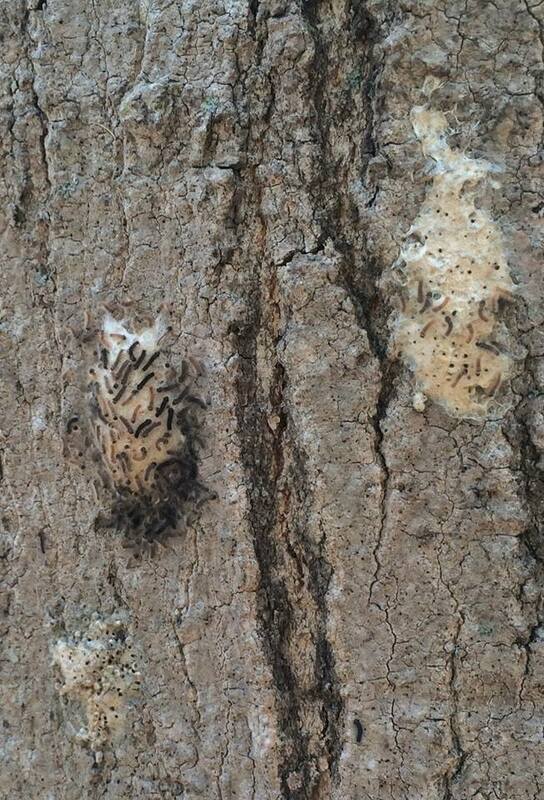 Gypsy moth caterpillars found hatching April 23 in Branford, CT. Certainly the earliest gypsy moth we’ve ever seen! As these little guys grow they’ll munch their way through leaves of their favorite host trees such as oaks, beeches, and some maples.